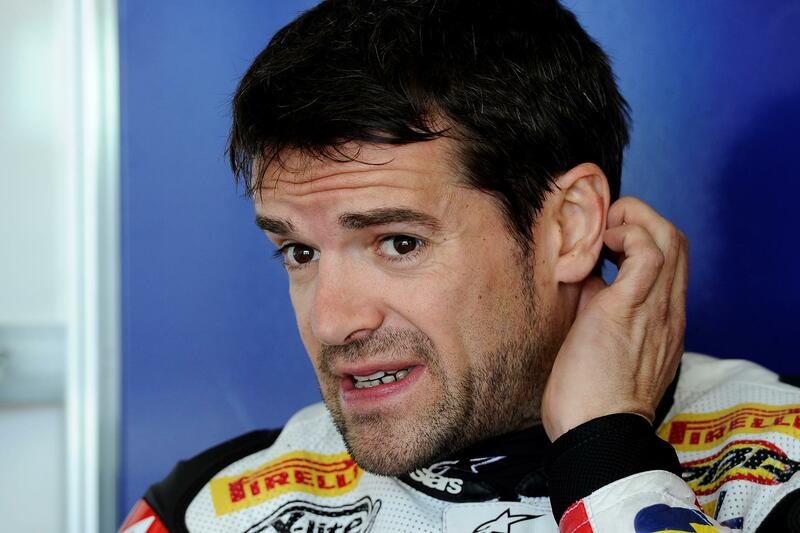 Carlos Checa finished a massive 0.38 seconds faster than his closest rival in the first qualifying session to take provisional pole position for Sunday’s two races. The in-form Spaniard who was fastest in free practice has clearly got his Althea Ducati working well and demonstrated this by setting a string of consistent race laps in addition to his pole time. Speaking to MCN he said: "I expected to be in a good position here because we saw last year that the Ducati’s of Haga and Fabrizio were very fast. But honestly I did not expect to be first and I did not expect this sort of advantage, but anyway this is only one lap." Jonathan Rea continued his impressive run of form to secure the second fastest time ahead of fellow Brit Leon Haslam. Haslam dug deep at the end of the session and actually posted his best lap in the dying minutes of the session just as rain started to fall at the Italian circuit. Nurburgring race winner Noriyuki Haga continued his resurgence to post the fourth fastest time ahead of fellow Ducati riders Michel Fabrizio and Shane Byrne. The big shock of the day was championship leader Max Biaggi languishing down in 14th position and on the provisional fourth row of the grid.